Do you have a vegetable you’re afraid of? Something you had an unfortunate experience with early on that completely turned you off to the whole institution? There are only a select few like that for me, and beets were near the top of the list. If memory serves, I’m fairly certain the beets I was exposed to were pickled beets out of a can. I loathed them. 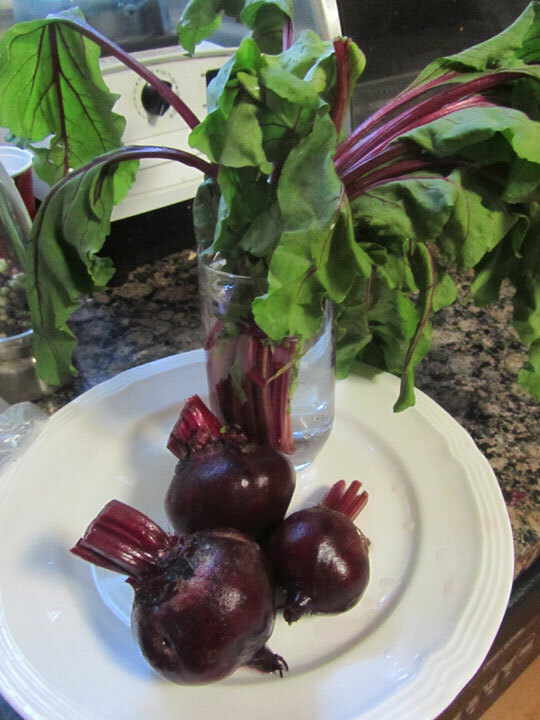 But recently I’ve been seeing more and more recipes with beets, and the nutritional benefits are huge. And I do believe that any vegetable can taste good if cooked properly. 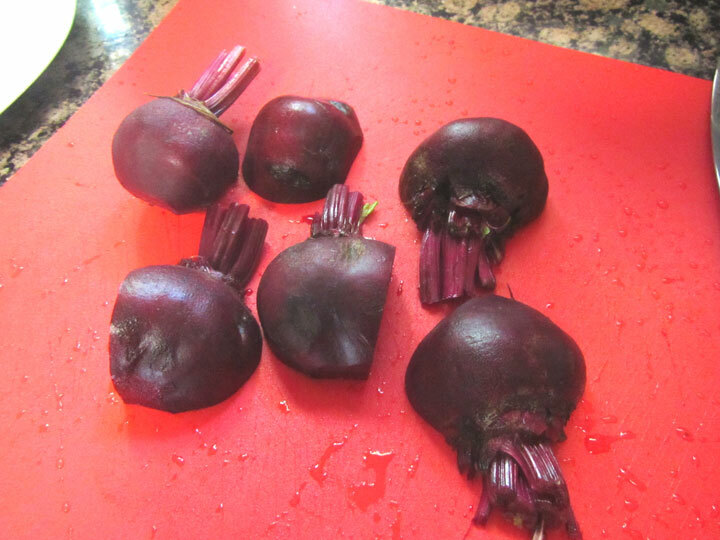 So I decided this weekend to pick up a bunch of organic beets, and give it a go. I scrubbed them clean, cut off the greens (and reserved them in a glass of water), and cut them down to a relatively uniform size. Next I put them in a foil pack with some olive oil, salt and pepper. I sealed up the edges of the foil and roasted them in a 375 degree F oven for about 45 minutes. Basically, you roast them until you can easily spear them with a fork. 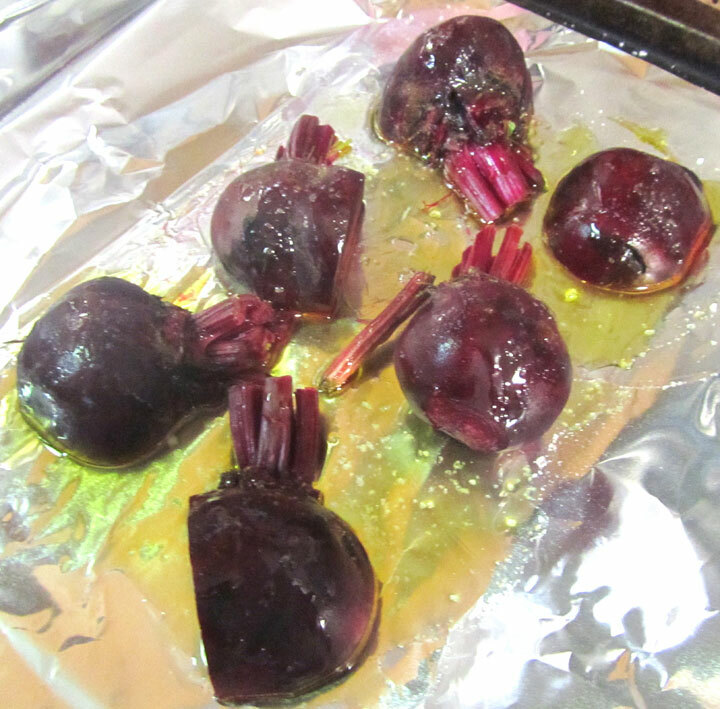 When you’re done, you’ll have a lovely plate of roasted beets. You can eat them like this, or use them in recipes like the Roasted Beets and Beet Greens with Dates and Goat Cheese recipe I’m sharing with you today. Heat some olive oil over low heat in a frying pan. Add the sliced onion and saute about 5 minutes until carmelized and soft. 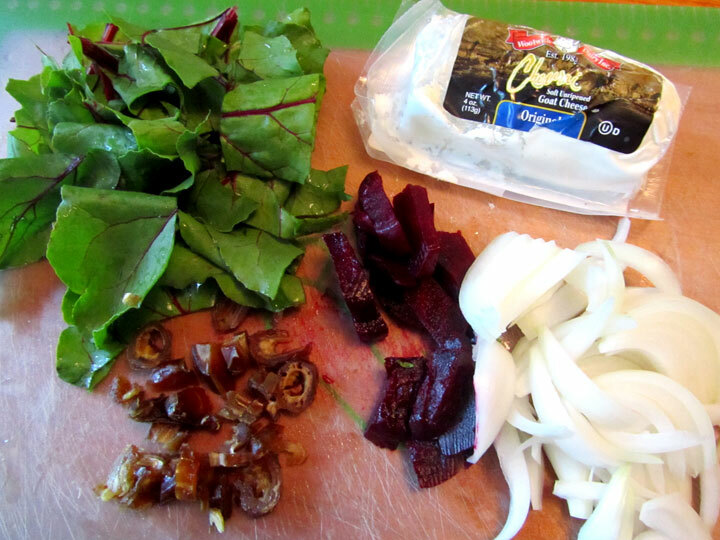 Add the roasted beet slices, beet greens, and sliced dates, and cook until greens are wilted. Remove from heat and add goat cheese. Stir gently. 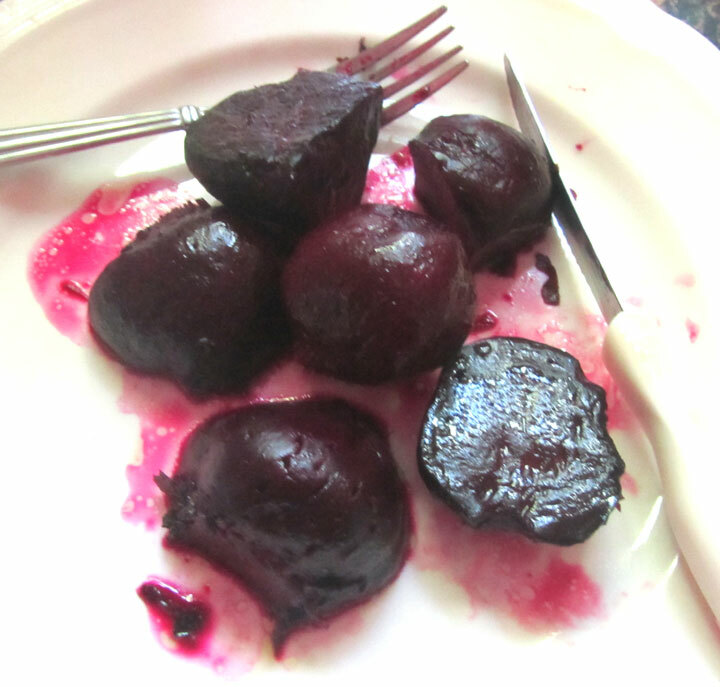 The Verdict: This was a lovely dish that convinced even this non-beet eater that beets can taste good. 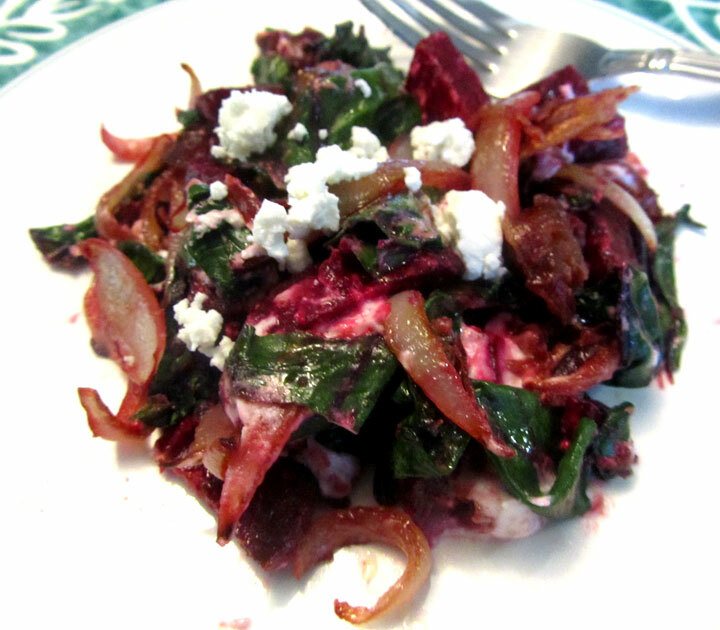 I think the sweetness of the dates and carmelized onions worked perfectly with the beets and greens, and the goat cheese added a perfect note to the overall dish. Thanks to this, I would make beets again! What’s your favorite way to enjoy beets? Would love to learn about your favorite recipes in the comments below!